Former 110m hurdles double world champion Colin Jackson CBE, will officially open InterHigh’s new Exam Centre in Abergavenny at 2pm on Friday 5th April. The centre offers a peaceful, stress-free environment for InterHigh pupils and private candidates to sit exams, and is one of just a few private exam centres across Wales. 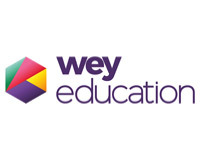 We are delighted that Mr Jackson will be there to officially open the centre along with local dignitaries, members of the Wey Education board and InterHigh teachers, parents and pupils.